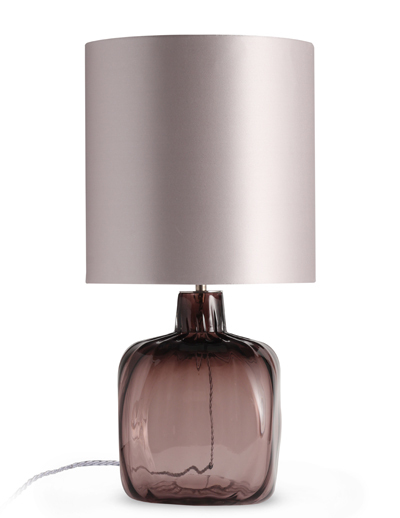 The glass base of this table lamp is blown in a transparent colour and has a delicate ribbed texture. It is topped by an elegant satin shade in Warm Grey. 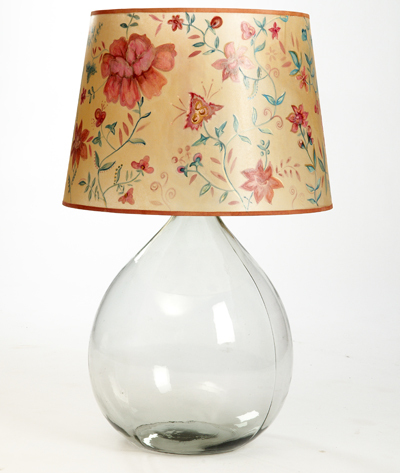 The recommended retail price is £1,320 for the lamp and £184.80 for the shade. Both by Porta Romana (contact 020-7352 0440, www.portaromana.co.uk for stockists). 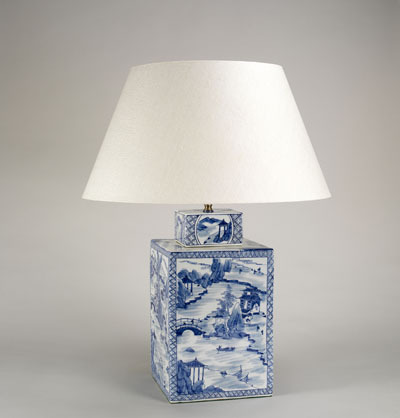 This lamp’s ceramic base is a vase depicting a restful Chinese scene of boats bobbing in a river in classic blue and white. Here, it is shown with the 19″ Carlisle silk lampshade in cream. 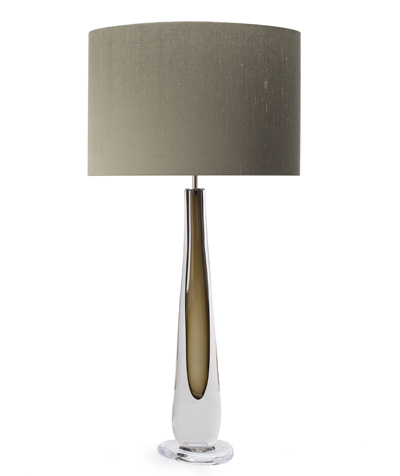 The lamp is priced at £558 and the shade at £188, all Vaughan (020-7349 4600; www.vaughandesigns.com). This slender crystal lamp is handblown and the glassmakers only make a few at a time.  It comes in two sizes and a range of different colours, from deep burgundy to bright steel blue and an elegant olive. It works especially well with an oval shade in Maquette silk (shown here with the olive base). 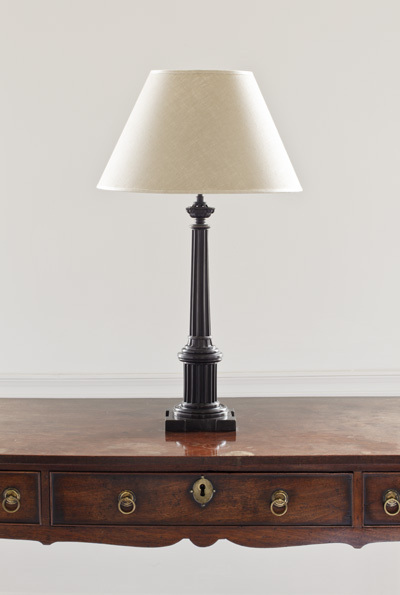 The smaller lamp is priced at £1161, and the larger one at £1791, while the shades are £270 to £300, all through Best & Lloyd, (020-7610 9191; www.bestandlloyd.com).